Lava flows of the Ninole Basalt, the oldest rocks exposed on the south side of the island of Hawaii, provide age and compositional constraints on the evolution of Mauna Loa volcano and the southeastward age progression of Hawaiian volcanism. Although the tholeiitic Ninole Basalt differs from historic lavas of Mauna Loa volcano in most major-element contents (e.g., variably lower K, Na, Si; higher Al, Fe, Ti, Ca), REE and other relatively immobile minor elements are similar to historic and prehistoric Mauna Loa lavas, and the present major-element differences are mainly due to incipient weathering in the tropical environment. New K-Ar whole-rock ages, from relatively fresh roadcut samples, suggest that the age of the Ninole Basalt is approximately 0.1–0.2 Ma, although resolution is poor because of low contents of K and radiogenic Ar. Originally considered the remnants of a separate volcano, the Ninole Hills are here interpreted as faulted remnants of the old south flank of Mauna Loa. Deep canyons in the Ninole Hills, eroded after massive landslide failure of flanks of the southwest rift zone, have been preserved from burial by younger lava due to westward migration of the rift zone. 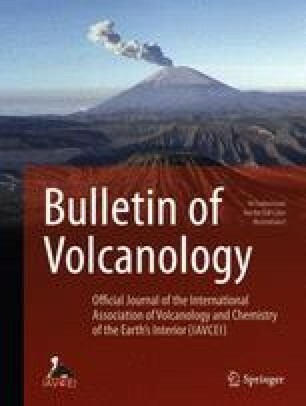 Landslide-induced depressurization of the southwest rift zone may also have induced phreatomagmatic eruptions that could have deposited widespread Basaltic ash that overlies the Ninole Basalt. Subaerial presence of the Ninole Basalt documents that the southern part of Hawaii Island had grown to much of its present size above sea level by 0.1–0.2 Ma, and places significant limits on subsequent enlargement of the south flank of Mauna Loa.